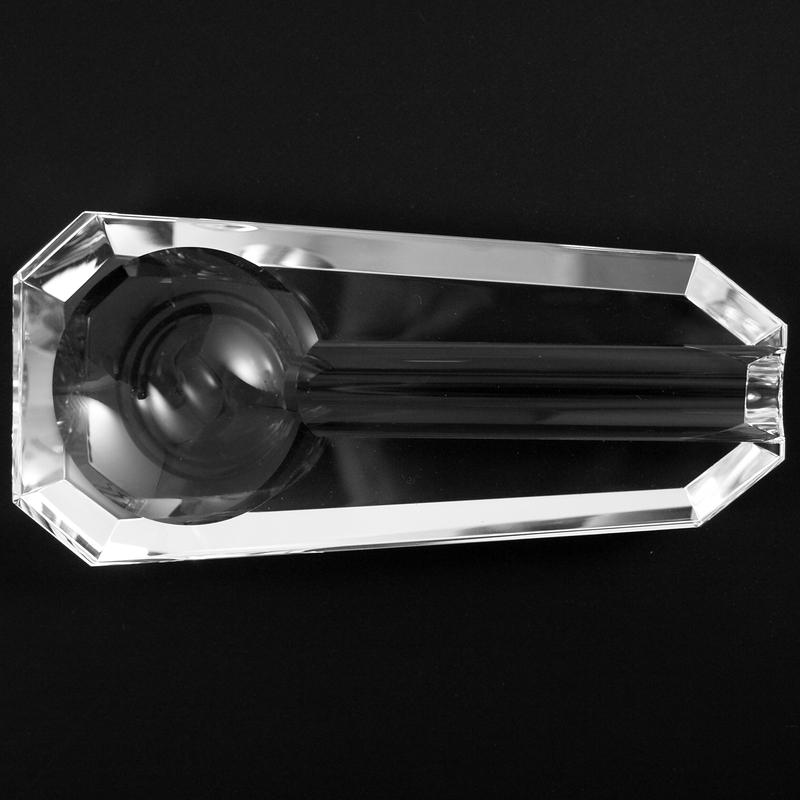 This unique geometric leaded crystal ashtray features an octagonal design that is sure to impress. The single channel makes it perfect for enjoying a smoke solo. The heavy duty construction makes this ashtray as durable as it is functional. It makes a great gift for the smoker in your life, or even just yourself!